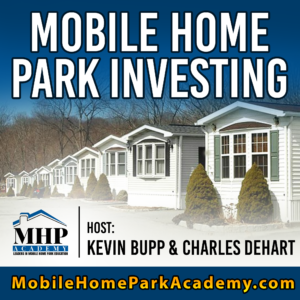 Welcome to the first Mobile Home Park Academy show. In this episode, Charles and I will walk you through our proprietary system for sourcing off market deals from brokers. One of the toughest things to do when first getting started in this niche is to create deal flow. Being that you’re new and have no track record it can be difficult, if not almost impossible, to get some of the larger industry brokers to take you seriously. What we reveal in this episode is our tried and true system to get brokers working on your behalf to bringing you deals. This system puts you in direct control and makes you the only buyer on the broker’s list!